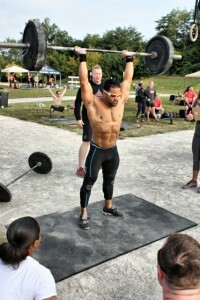 Time – 9am – 6pm (Come by the event area anytime between 9am – 6pm to get your pull in and log your best time. Truck Pull Details – Competitor sits in large tire and pulls the WAR HAMMER truck via a rope attachment for time. Distance TBA. Fastest Time During the EXPO Wins. Tire Flip Detail – Large tire flip for a distance TBA. Fastest Time During the EXPO Wins. Awards for top 3 men and top 3 woman in each event. Redeem your Free Expo ticket and come watch or compete in the War Hammer Strongest Man & Woman Truck Pull. 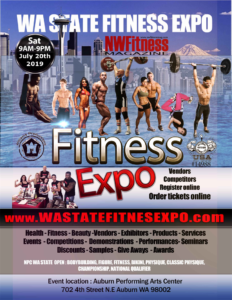 Check out the latest War HAMMER Athletic Gear Expo specials at the Wa State Fitness EXPO. Come by the War Hammer Strongest Man & Woman Truck Pull & Tire Flip area area anytime between 9am – 6pm to get your pull in and log. Final entry form and liability waiver must be filled out on site prior to participation. Times will be recorded on reader board. Final pull for time 6pm. Awards to follow.